Three nVidia Quadro NVS 290 Video Cards capable of running 6 simultaneous monitors! The Dell Precision T7400 is an ultra-high-performance workstation designed to maximize performance and scalability. 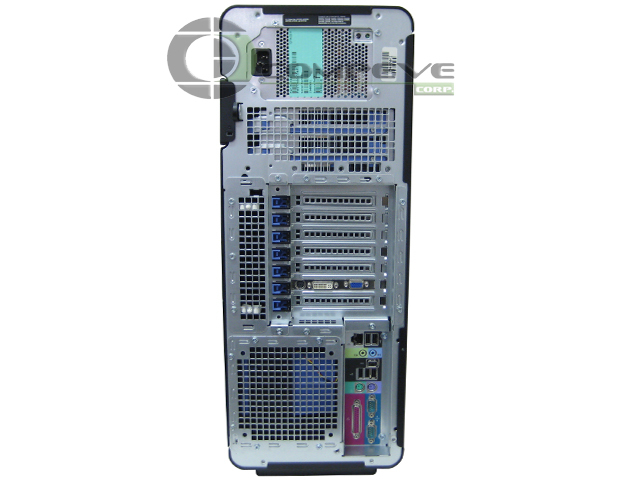 The Dell Precision T7400 features the newest, and most powerful, multicore Intel Xeon processors, as well as advanced memory, graphics and RAID options to power through the most complex applications. Dell partners with leading independent software vendors (ISVs) to certify system and application compatibility so that your applications can run gracefully right out of the box. 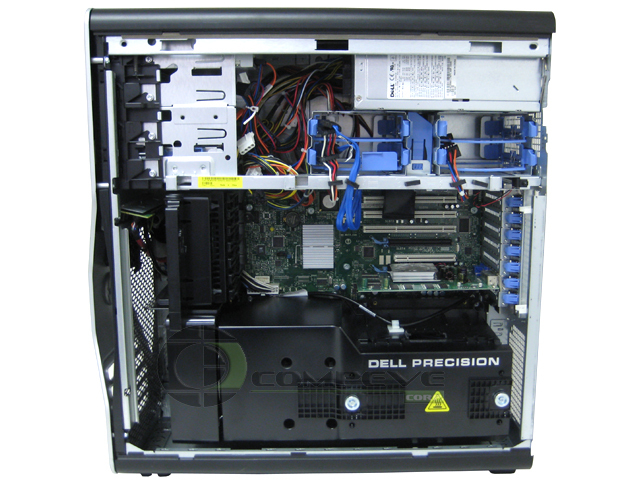 The Dell Precision™ T7400 is in a class of its own among Dell workstations. The T7400 climbs to new heights of scalability by supporting dual-graphics, Genuine Windows® 7, up to 64GB of 800MHz fully buffered DIMM memory with higher bandwidth quad-channel memory architecture, and up to two 64-bit quad core Intel® Xeon® processors. Memory scalability is up to 128GB. Because business needs differ, the Dell Precision T7400 delivers great flexibility in system configurations to meet your future needs. Choose from the latest Intel 64-bit multicore Xeon processors with up to 1600MHz front side bus to power the Dell Precision T7400. The Dell Precision T7400 is designed to scale as your application and workload demands change. The new Intel Xeon quad-core processors, with up to 12 MB cache and up to 1600 MHz dual independent front side busses, provide up to 12.8 GB bandwidth path for data between processors, memory and chipset.